Yesterday at 3pm Maura Harrington ended her 11 day hunger strike outside the Shell Glengad pipeline landfall site in County Mayo, Ireland. Ship tracking sites on the Internet confirmed the pipe-laying ship Solitaire had left Irish waters and was heading for dock in Glasgow for repairs after it was accidentally damaged before it could commence work last week. 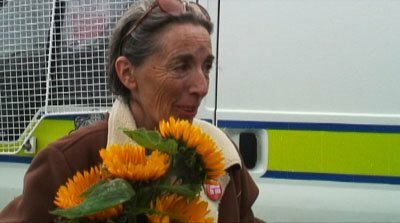 Despite being very weak from her hunger strike, Maura held a press conference and was greeted by friends in some very emotional scenes. 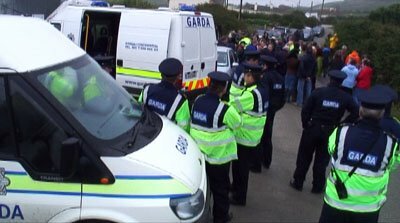 Expecting trouble, the Garda called in an extra two van-loads of police, yet no ambulance was called, nor was a doctor on hand to check Maura’s health. An earlier health check that week said she was in good health, this coming as no surprise to anyone that knew Maura. Friday had been an intense day, with two locals being arrested at their homes at 7am, one of those being Pat “Chief” O-Donnell, who according to locals is arrested at least once a week over the last few months. The charges are more often than not dropped and the reason for detaining him and others seems to be nothing more than time wasting, yet again another tactic of the “no arrest – no martyr” policy here in County Mayo. BBC Political correspondent Andrew Marr once stated if a news headline ends in a question mark the answer is usually no. But in this instance it would seem the answer is a resounding yes, despite the Shell press release making no quote on Maura’s hunger strike, claiming the removal of the Solitaire was for repairs and repairs only. As well as film director Ken Loach speaking out against Shell’s operations in County Mayo, yesterday the Guardian reported Erin Brockovich had began a verbal assault on the largest and most profitable oil and gas company in the world. 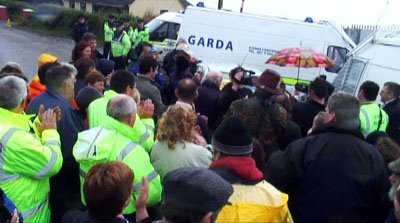 The film Policing The Pollution: “Don’t Mention The Water”, exposing Shell’s pollution of the local water supply in Erris, County Mayo was released on Current TV in November 2007 and further released on Reel News in January 2008. I also investigated and produced the Channel 4 report released in June 2007. 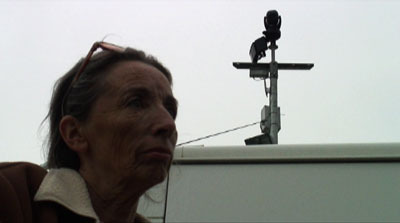 All material on this blog – stills, video and print is (c) Jason N. Parkinson 2008. All Rights Reserved.